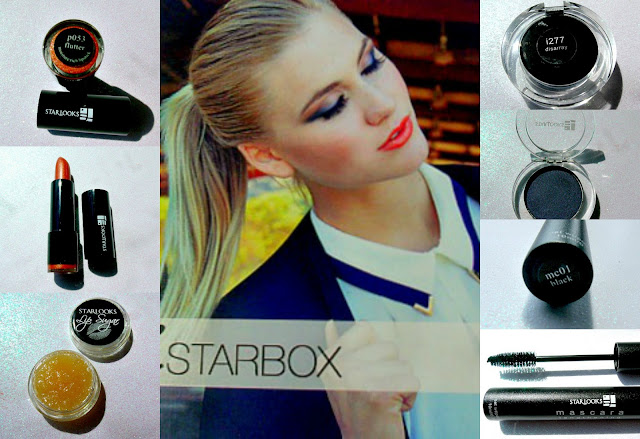 The March 2013 Starlooks Starbox was what you could easily call a "mixed" makeup box. 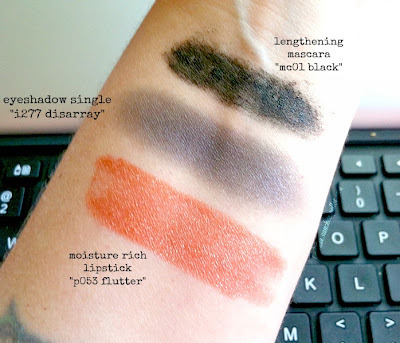 The products received were a beautiful combination of bold and neutral colors - everything you could possibly need to pull off one of the coolest smoky eyes and boldest lip looks for this Spring/Summer season. 3. With another dome brush, apply disarray to the outer corner of eye, stopping where the yellow/gold shadow begins. 6. Lastly, using a very small angle brush, apply a tiny amount of the yellow/gold shadow to the first half of the bottom lash line; then apply disarray to the other half of bottom lash line making sure to softly blend these shadows under lash line. 7. Top of this smoky eye by applying two (or more!) coats of lengthening mascara in black. The cool neutral makeup is done, now let's move onto the bold portion of this look. In this case the lips will be the focus - as such having smooth lips is an absolute MUST. The first step to moisturized and smooth lips is to exfoliate using a simple sugar scrub. Apply a small amount of the Starlooks "vanilla" Lip Sugar over lips - using your finger, gently rub sugar into lips in small circular motions. Lastly, tissue off - you should feel the difference immediately. Next, apply moisture rich lipstick in flutter all over the lips - You can do this by applying lipstick directly onto lips or by using a lip brush. 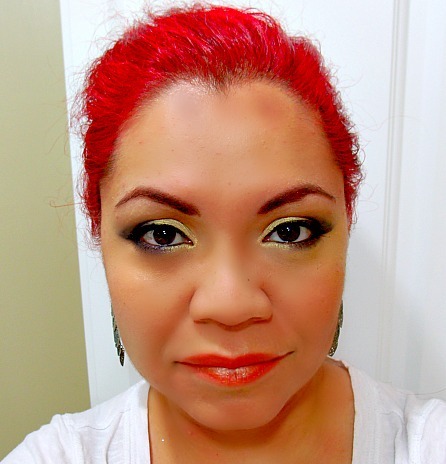 Now it's YOUR turn: Would you wear this bold and neutral makeup look? Which product from the March Starbox do you like the best? Let us know in the comments! PS. If you would like to see this bold and neutral makeup tutorial in a video, let us know in the comments! Disclosure: I received the March Starbox for the purpose of this tutorial and review - all photos and opinions are 100% my own. Please be advised that the links posted in this makeup tutorial are NOT affiliate links. In other words, I DO NOT get compensated if you choose to purchase these items. The product links are ONLY to assist you in the event you are indeed interested in buying these items, or becoming a monthly Starlooks subscriber. For a full detailed disclosure used for this lifestyle website, please refer to our DISCLOSURE page at the top of this post.